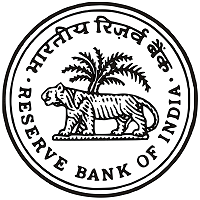 Duration: To complete RBI Grade 'B' 2019 preliminary examination the candidates will be provided with a duration of 2 hours. Sectional cut off: As decided by the examination board, candidates will have to score a minimum prescribed marks in all the four sections. Negative Marking: One fourth marks alloted to a question will be deducted for every wrong answer. There is no negative marking for unanswered questions. Shortlisting: Candidates who qualify both the papers will be shortlisted for the interview round. Merit List: On the official website merit list of the shortlisted candidates will be published. Call Letter: Call letter for the RBI Grade 'B' interview process will be sent to the registered email Id of the candidates. Marks: The interview will carry 50 marks. Language: A candidate has the choice of taking up the interview either in Hindi or English. All candidates will be put through an Online Test. The shortlisted ones from this test will be further put through a Physical Test which is of a qualifying nature. A merit list of those candidates will be prepared who qualify the Physical Test. This merit list is prepared based on marks obtained in the Online Test. Document verification, Biometric verification, pre-recruitment medical test and other procedures put forward by the bank are taken up by the candidates who are part of the merit list. Upon successful completion of all these mandatory procedures, job is offered to the candidate. Following table illustrates the Online Exam Pattern for the recruitment of Security guards at the Reserve Bank of India. Applicants are provided with a choice of writing the papers of the subjects Test of Reasoning and Numerical Ability in both English and Hindi mediums. All the papers will have Multiple Choice Questions. Each wrong answer will fetch a negative marking of 0.25 marks. Clearing the cut-off for each paper is mandatory to qualify for further rounds. Further details and deeper information regarding the recruitment process can be availed from the respective bank's official website. The information handout will be made available for download along with the call letter. The selection procedure for all other posts will involve online applications followed by shortlisting and face to face interviews.